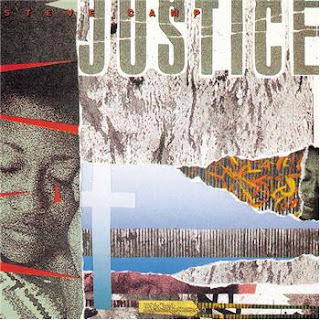 Justice is a Contemporary Christian Music album by Steve Camp and was released by Sparrow Records near the end of 1988. Camp had begun to put more emphasis publicly on issues not normally addressed in evangelical Christian circles. This album is best known for featuring his version of the song “Do You Feel Their Pain”, which featured him singing alongside BeBe Winans, the provocatively titled "Don't Tell Them Jesus Loves Them" ("...till you're ready to love them too..."), and Larry Norman's “Great American Novel”. 2. "Playing Marbles with Diamonds"
3. "Don't Tell Them Jesus Loves Them"
4. "Living Dangerously in the Hands of God"
5. "Do You Feel Their Pain?" 6. "Hell is Burning While the Church Sleeps"
9. "Love That Will Not Let Me Go"
William Wilberforce (August 24, 1759 – July 29, 1833) was a British politician, a philanthropist and a leader of the movement to abolish the slave trade. A native of Kingston upon Hull, Yorkshire, he began his political career in 1780 and became the independent Member of Parliament for Yorkshire (1784–1812). In 1785, he underwent a conversion experience and became an evangelical Christian, resulting in major changes to his lifestyle and a lifelong concern for reform. In 1787, he came into contact with Thomas Clarkson and a group of anti-slave-trade activists, including Granville Sharp, Hannah More and Charles Middleton. They persuaded Wilberforce to take on the cause of abolition, and he soon became one of the leading English abolitionists. He headed the parliamentary campaign against the British slave trade for twenty-six years until the passage of the Slave Trade Act 1807. Wilberforce was convinced of the importance of religion, morality and education. He championed causes and campaigns such as the Society for Suppression of Vice, British missionary work in India, the creation of a free colony in Sierra Leone, the foundation of the Church Mission Society and the Society for the Prevention of Cruelty to Animals. His underlying conservatism led him to support politically and socially repressive legislation, and resulted in criticism that he was ignoring injustices at home while campaigning for the enslaved abroad. In later years, Wilberforce supported the campaign for the complete abolition of slavery, and continued his involvement after 1826, when he resigned from Parliament because of his failing health. 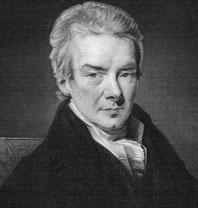 That campaign led to the Slavery Abolition Act 1833, which abolished slavery in most of the British Empire; Wilberforce died just three days after hearing that the passage of the Act through Parliament was assured. He was buried in Westminster Abbey, close to his friend William Pitt. 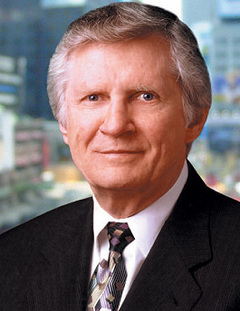 David Wilkerson (May 19, 1931 – April 27, 2011) was an American Christian evangelist, best known for his book The Cross and the Switchblade. He was also the founder of Times Square Church in New York, a non-denominational church. Wilkerson's widely distributed sermons, such as "A Call to Anguish," are known for being direct and frank. He emphasizes such Christian beliefs as God's holiness and righteousness, God's love toward humans and especially Christian views of Jesus. Wilkerson tries to avoid categorizing Christians into distinct groups according to the denomination they belong to, and as such he is an evangelist with broad appeal. Wilkerson died April 27, 2011 as a result of a car accident in Texas. David Wilkerson served as a pastor in small churches in Scottdale and Philipsburg, Pennsylvania, until he saw a photograph in Life Magazine in 1958 of seven New York City teenagers charged with murder. He later wrote that as he felt the Holy Spirit move him with compassion, he was drawn to go to New York in February 1958. It was then that he began his street ministry. Wilkerson is well-known for these early years of his ministry to young drug addicts and gang members in New York City in the 1950s and 1960s. He co-authored a book with John and Elizabeth Sherrill about his work with the New York drug addicts, The Cross and the Switchblade, which became a best-seller. Included in the book is the story of the conversion of gang member Nicky Cruz, who later wrote the autobiographical Run Baby Run about his own life. 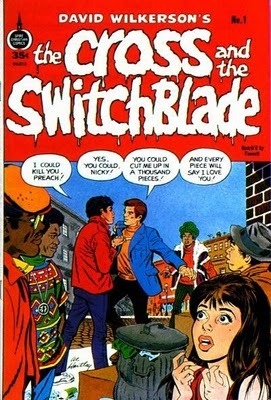 The Cross and the Switchblade has sold over 50 million copies in over thirty languages since it was published in 1963. In 1970, a Hollywood movie based on the book starred Pat Boone as Wilkerson and Erik Estrada as Cruz. The book was included on Christianity Today's "The Top 50 Books That Have Shaped Evangelicals"
In 1958, Wilkerson founded Teen Challenge, an evangelical Christian recovery program and a network of Christian social and evangelizing work centers. In 1967, Wilkerson began Youth Crusades, an evangelistic ministry aimed at teenagers whom Wilkerson called "goodniks"—middle-class youth who were restless and bored. His goal was to prevent them from becoming heavily involved with drugs, alcohol, or violence. Through this ministry, the CURE Corps (Collegiate Urban Renewal Effort) was founded. It was intended to be something of a Christian version of the Peace Corps and Volunteers in Service to America (VISTA). "The Cross and the Switchblade" is a comic book based on the best-selling book of the same name written in 1963 by Pastor David Wilkerson with John and Elizabeth Sherrill. It tells the true story of Wilkerson's first five years in New York City, where he ministered to disillusioned youth, encouraging them to turn away from the drugs and gang violence they were involved with. 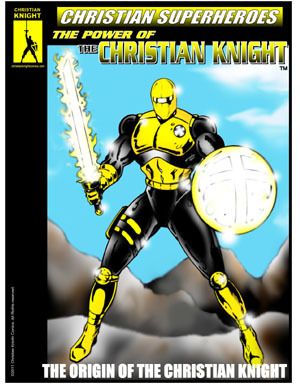 In 1972, the book was adapted into a comic book published by Fawcett Comics under their Spire Christian Comics label and illustrated by Al Hartley. Delirious? 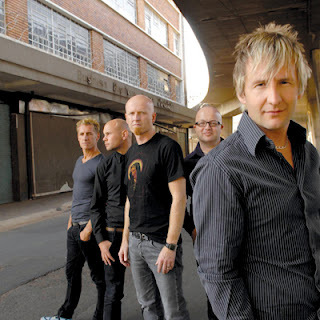 (formerly known as The Cutting Edge Band) were an English Christian rock and worship band. 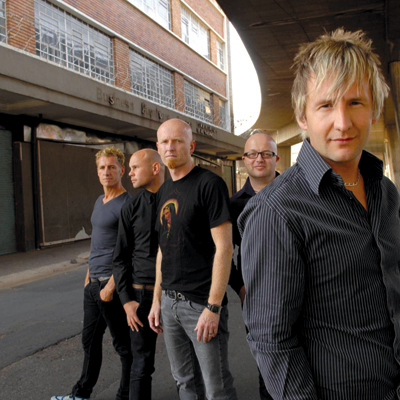 For the majority of their career, the lineup featured Martin Smith on vocals and guitar, Stu G (full name Stuart Garrard) on guitar and backing vocals, Jon Thatcher on bass guitar, Tim Jupp on keys and piano, and Stew Smith on drums and percussion. During their final two years, drumming duties were assumed by Paul Evans. 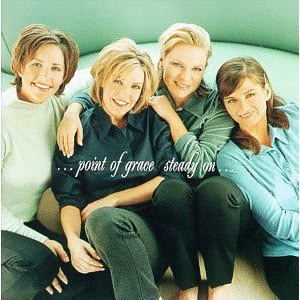 They are perhaps best-known for their modern worship songs "Rain Down", "Majesty", "Lord You Have My Heart", "Thank You for Saving Me", "Did You Feel the Mountains Tremble? 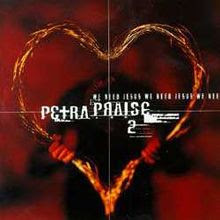 ", "What a Friend I've Found" and their 1994 song "I Could Sing of Your Love Forever", which has been called a "modern worship classic" and is their most popular song in the United States. The Cutting Edge Band had various members from 1992 to 1996 before the decision was made to take the band full time as Delirious? with an established lineup. Between 1997 and 2001, the band targeted the majority of its work towards a mainstream audience, with several singles reaching the top 20 on the UK music charts. 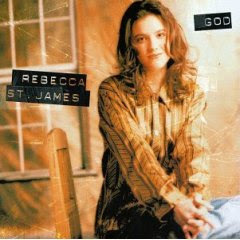 However, between 2003 and 2009 the focus was mainly placed on the CCM market, although occasional singles were still released. In the final years of their career, Delirious? began to place a strong focus on humanitarian issues in their music. Both Martin Smith and Stu G started charities. Drummer Stew Smith left the band at the end of April 2008, and it was announced via a press release on in July of the same year that Delirious? would soon embark on an indefinite and probably permanent hiatus from recording and touring in order to focus on these new projects. On 29 November 2009 they played their final gig in front of a sell-out crowd at London's Hammersmith Apollo and have now officially disbanded. Click Here to Read More About Delirious? VIDEO: Majesty (Here I am) (Live) – Delirious? VIDEO: Investigate - Live at Willow Creek – Delirious? 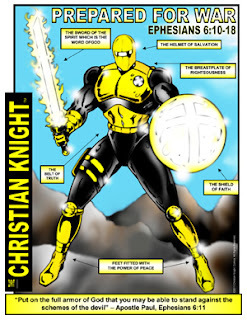 The origin of Mr. Christian is revealed in this action packed and thought-provoking collection. 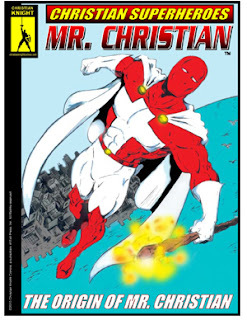 Beginning with a childhood dream that occurs in 1939 and into the Origin of Mr. Christian, Christian Superheroes: Mr. Christian is 20 pages w/full color cover and b/w interior art. The Chronicles of Narnia is a series of American fantasy films from Walden Media based on the series of novels, The Chronicles of Narnia written by C. S. Lewis. 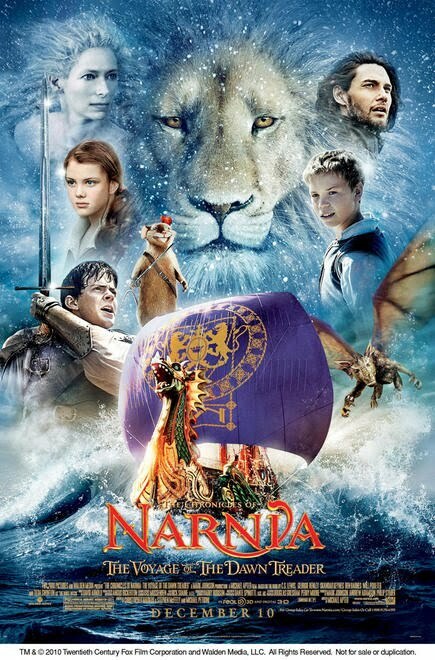 It currently consists of three films of a planned heptalogy - The Lion, the Witch and the Wardrobe (2005), Prince Caspian (2008), and The Voyage of the Dawn Treader (2010). A fourth film The Magician's Nephew has been confirmed for 2013. 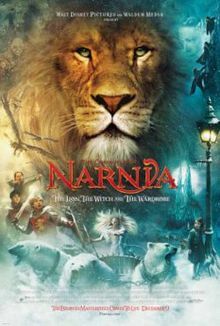 The series revolves around the adventures of children in fictional world of Narnia, guided by Aslan, a talking lion and the real king of Narnia. Most of the children featured were the Pevensie siblings and the prominent antagonist featured was the White Witch. While the films follow the novels' traditional storyline and Christian themes, they also added deviations from the source material, including the Greek Mythology and Irish fairy tales. The first two films were directed by Andrew Adamson, produced by Mark Johnson, and distributed by Walt Disney Pictures. 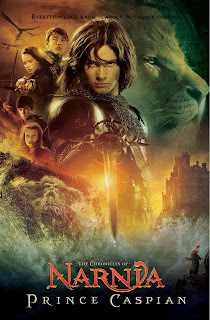 The third film is the first of the chronicles to be released in Digital 3D. It was directed by Michael Apted and distributed by 20th Century Fox. The series is considered to be one of the biggest movie franchises around the world due to the legacy of the novels. The first film was a financial success by being the 38th highest-grossing film of all-time. The series has now grossed over $1.5 billion making it the 15th highest-grossing film series of all time. 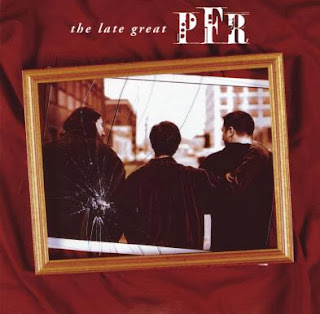 PFR was founded in 1989 as the Joel Hanson Band by Joel Hanson, who was a camp counselor at Camp Shamineau, a Christian youth camp in Minnesota. In 1991, the band, now known as Inside Out, was signed to Brown Bannister's newly founded Vireo Records. After signing, Patrick Andrew suggested the band change the name to "Pray For Rain" after a line from a poem. 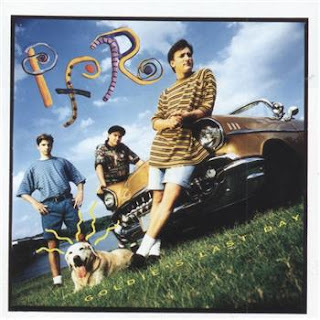 In 1992, the band released Pray For Rain, and gained some attention with the song "Do You Want to Know Love". 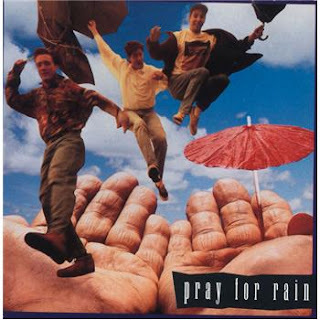 Shortly after releasing the first album, an existing band (an instrumental group who did soundtrack work) known as Pray for Rain threatened a lawsuit, leading the band to settle on the name PFR. 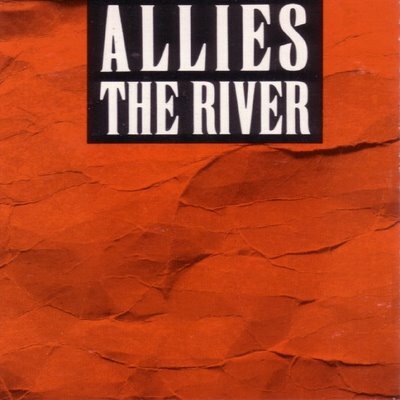 The first album was reissued with a slightly modified cover to reflect the change. 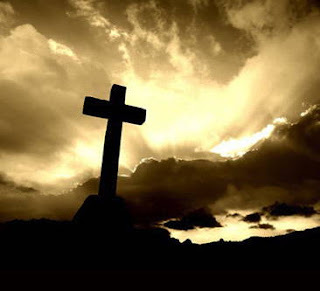 Here are a few songs that have a Good Friday and Easter theme or as we call it here at Christian Knight, The Sacrifice and The Resurrection. Enjoy and let others know about it. - Stumble, Digg, Repost, etc. - Get The Word Out! Thanks!! Petra – It Is Finished! In this compilation, PFR gives listeners a glimpse of the past five years of PFR. And songs from every album are taken (with some slight alterations on Pray for Rain and Do You Want To Know Love). While some songs, like Name and Pour Me Out just plain rock, others, like The Love I Know, Wait For The Sun, and Forever are beautiful in both lyrics and song. Many have shared stories of going through a hard time in relationships, then only to hear The Love I Know. The lyrics can be powerful. The Music is varied from Hard Rock to country (the last song, not listed on CD). And It closes with the retrospect, Fare Thee Well. Of the 17 tracks, 3 are new. 2 are from Pray For Rain (1992), 5 are from Goldie's Last Day (1994), 4 are from Great Lengths (1995), and 2 are from Them (1996). 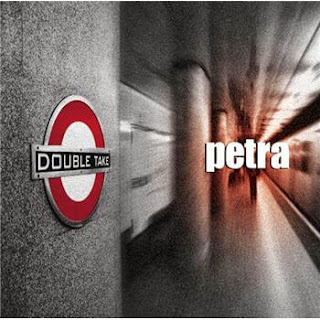 Double Take is the Grammy Award winning, nineteenth release of the Christian rock band, Petra. It was released on February 29, 2000. The album features 10 new acoustic rearrangements of classic Petra songs. It also features two new songs ("Breathe In" and "The Longing"). The song "Breathe In" is sung by guitarist Pete Orta. It was written completely by him. This is the only album to feature Trent Thomason on keyboards. The music is a mixture of traditional and original praise songs with a rock style. 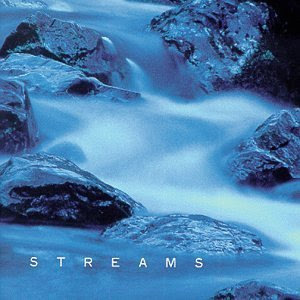 It is considered to be heavier than the band's first praise album, though comparisons are somewhat difficult to make since this album leans toward a more modern sound. Most of the original songs were penned by band founder Bob Hartman (except "Song of Moses" that was written by former keyboardist Jim Cooper and well-known musician Brian Wooten). All songs written by Bob Hartman, except where noted. All songs written or co-written by Cindy Morgan, except "Picture Me In Paradise" and "Love's Still Love" (Grant Cunningham/Mark Hammond). Steven Camp (born April 13, 1955) is a prominent American Dove Award-nominated contemporary Christian music artist with an adult contemporary pop sound. He was very popular in the 1980s and early 1990s, but his popularity now continues mostly in his Christian Reformed Theology. He started Audience One Ministries, and his blog covering Christian music, biblical study, reformation, and revival. writing addressing current trends and matters of Reformed Theology. He started Audience One Ministries, and his blog covering Christian music, biblical study, reformation, and revival. 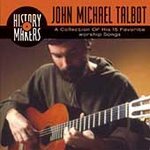 He is well-known for his strong views that Christian musicians are called to make direct, uncompromising music that confronts the world with the message of the Scriptures. Following Martin Luther's 95 theses, on Reformation Day (October 31), 1998 he sent out his own 107 theses calling for a reformation in contemporary Christian music. Born in Wheaton, Illinois, Camp was raised by Christian parents; by 5 years of age he confessed faith in Jesus. This greatly influenced his desire to serve God through his teenage years. As a young Christian, he created a close bond with legendary Christian singer/songwriter Larry Norman, who gave him advice concerning his own singing and songwriting. In addition, he met the late Keith Green, who encouraged him to make a stronger commitment to Jesus and at the same time his own ministry. Camp attended Roosevelt University, where he majored in Music Composition and Theory under Professor Dodds, protegee to George Gershwin, and studied Business Law/Music at the College of DuPage, where his goal was to spread the gospel. Among many other college professors Steve had studied under, Camp didn't go through his academic circles for his theological or musical training. He did exactly that; hence, he received intense working knowledge of Scripture and theology, mastering the Greek language, and he has accomplished a library of historical and theological works. Camp also retains an orthodox historical Reformed theology, in the tradition of John Owen, Jeremiah Burroughs, Thomas Watson, Dr. John F. MacArthur, Dr. D.A. Carson, Dr. R.C. Sproul and the late Dr. Stephen Olford. He also began a longtime relationship with a then-unknown - Rob Frazier - in the late 1970s. 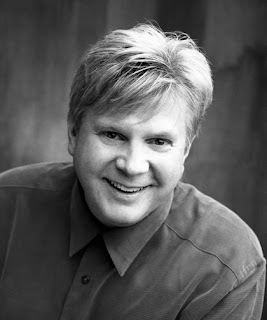 Frazier, a one-time Petra member, began his tenure with Camp co-writing songs for Camp's own albums. Camp's singing career began when he played acoustic guitar and sang backups on Scott Wesley Brown's 1977 album, I'm Not Religious, I Just Love The Lord, one year before he went on his own. Compared to Frazier, he also began a longtime friendship with Brown in 1973, aged 18 at the time. Camp was reunited with Frazier on Frazier's 1992 compilation Retrospect, on which Frazier and Camp sang duet vocals for the song Why.